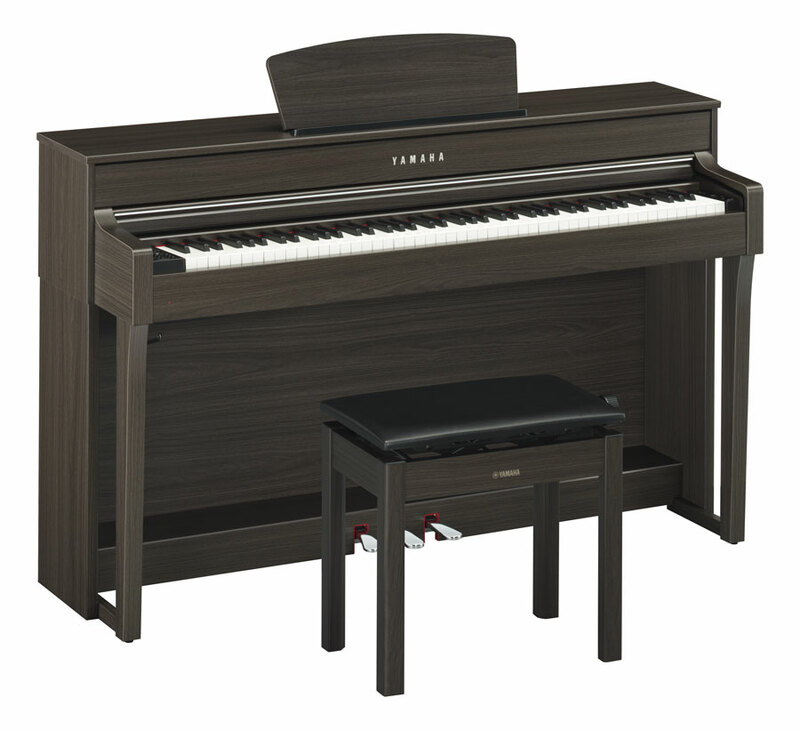 The CLP-635 is the where the new Clavinova sets a new standard. When you experience the sound of the binaurally sampled Yamaha CFX 9ft concert grand through your headphones you will feel like you are in a recording studio playing this immense piano. This type of sampling is a highly sophisticated recording technique in which a special combination of microphones are used; including two installed into the ears of a model human head so that the sound reproduced is that from the pianist’s perspective. The better your headphones the higher level of experience is achieved with this new technique. 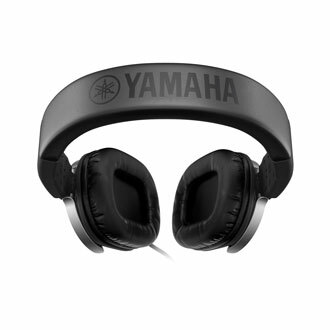 We used the Yamaha HPH-MT8 studio monitor headphones for our testing and the sound was just amazing. The resonance of the strings is one such feature that makes an acoustic piano and a digital differ but when it comes to the new Clavinova that is not so true. You can enjoy the realism of Virtual Resonance Modeling through the on-board stereo speaker system. In a grand piano, strings resonate throughout the entire instrument producing reverberations that envelops the listener in sound. The sound of an acoustic piano is complex and rich because of this. 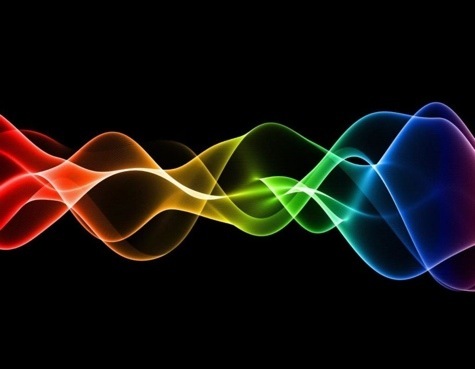 Virtual Resonance Modeling (VRM) calculates the various resonate states of the strings for all of the notes on the piano from one instant to the next. As a result, the Clavinova calculates a seemingly limitless number of elements from an acoustic piano such as the velocity of the keys, the state of other notes on the piano and the pedal timing. All of this gives an unmatched realism when playing your Clavinova. 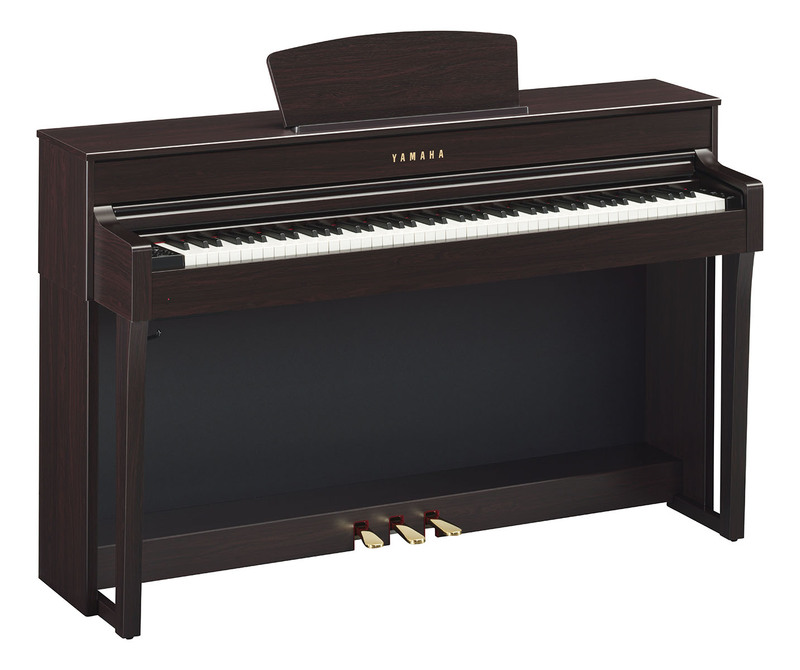 The CLP-635 piano looks similar to the previous model 535 but with an upgraded and modern case design. When first playing the CLP-635 I noticed right away that the touch and feel were great. 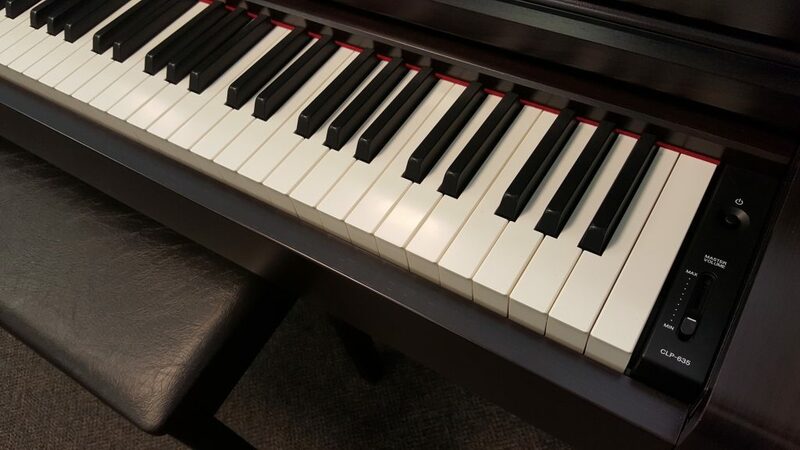 All CLP Clavinovas now have the Synthetic Ebony & Ivory key tops that reproduce the tactile surface of the Ivory white keys, and wooden Ebony keys of keyboards once used in acoustic pianos. The GH3X (Graded Hammer 3X) keyboard action reproduces the touch of an acoustic instrument, from the heavier feel in the lower register to the lighter touch in the upper octaves. The 3 is for 3 sensors within each key that measure things like velocity, duration and release. Additionally the escapement mechanism (X) that reproduces the feel of an acoustic piano as it goes through its own escapement simulates the let-off of the jack and the fall of the hammer when a key is played. 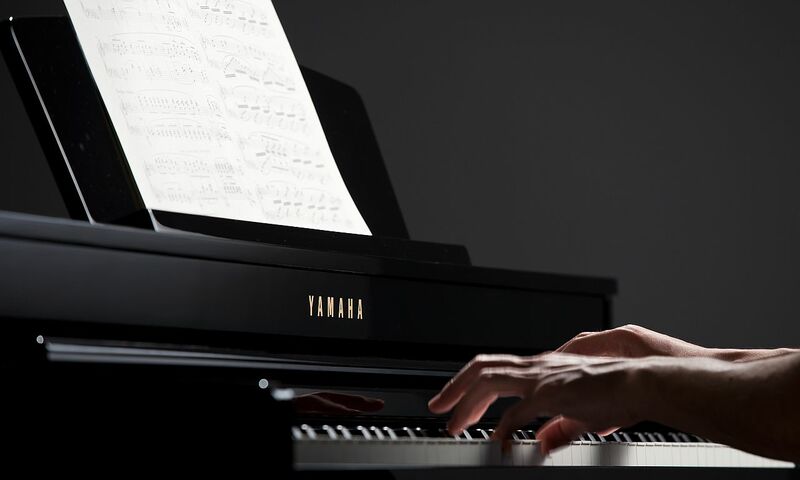 This gives the piano an incredible accurate touch and makes playing it a breeze. You will notice right away when you sit down to play it how good the touch is on this piano. String Resonance recreates and emulates the sympathetic sounds of other strings resonating, just like the behavior of acoustic pianos. You can hold down a chord in the upper register without making it sound and while holding these keys strike and play a lower note that is within the chord and you will automatically hear the upper register notes ring. 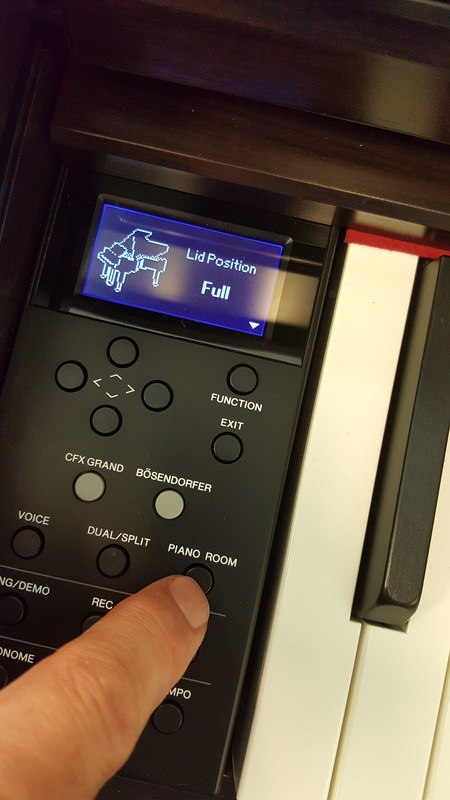 This is a natural occurrence from an acoustic piano that gives the Clavinova even more acoustic realism. Key-off samples deliver the delicate change in sound the instant the damper falls back to the string. The moment a pianist’s fingers are lifted from the keys of a grand piano, subtle changes occur in the instrument’s tone as the damper is lowered onto the strings to mute the sound. Key-off samples feature actual recordings of these changes, offering a faithful reproduction of the most subtle nuances in the piano’s tone, creating a more realistic overall sound. This is not something you would necessarily try to reproduce when playing the piano however if you compare it to an instrument that does not have it you will notice right away how much more acoustic the Clavinova seems. Damper Resonance (DSP) recreates the sound of the inside of a grand piano when the dampers are off the strings. Stereo Sustain samples provide mellow reverberations when the player depresses the damper pedal. Similarly, Damper Resonance DSP provides broad and deep resonance when the pedal is used. Again, this is not a feature you would intend to reproduce in your playing but when playing it unbeknownst to the musician it gives the Clavinova more depth and a true perceived acoustic flavor. What is the Acoustic Optimizer? It minimizes muffling in the low frequency range, it controls resonance in mid to high frequency ranges, and it achieves a smooth tonal response across the entire keyboard giving it a reproducing capability much like acoustic grand pianos. Intelligent Acoustic Control (IAC) automatically adjusts the EQ of the built-in stereo speaker system. 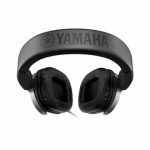 The instrument automatically adjusts the balance of bass and treble, creating a truer sound with more depth at any volume. 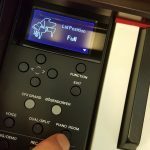 This feature has been on Clavinovas for several models and works well to improve the clarity of the sound being reproduced. The Stereophonic Optimizer is unique to Yamaha. This is similar to the acoustic optimizer but multiplied when playing and listening to the instrument using headphones. The Stereophonic Optimizer adjusts the spacing of the sound and the separation from the piano, resulting in a spacious, surround sound quality that will inspire you to play for hours at a time. Within this private listening environment, the sound of the piano can be perceived to come from the body of the instrument rather than from the headphones, providing a more realistic and natural experience. A great addition to this model is the drum rhythms. There’s are 20 rhythm patterns to choose from. Use the rhythms to add an element of fun to your practicing, or simply use them as a virtual drummer for your performances. The patterns are basic for many styles and a good option at this price point. The recording function allows you to record your performances with a single touch, which is useful when you want to review or archive your playing. You can record up to 16 tracks for simultaneous playback allowing you to create your own songs using different sounds, or record each hand separately. You can store up to 250 of your songs internally. Recordings are made in MIDI format, and can also be recorded to USB flash memory. The record feature is easy to use and allows for instant review. With a Full Dot LCD Display (128 x 64) the functions on the left cheek block are easy to use and see but subtle enough to not be obtrusive to the sleek look of the piano. 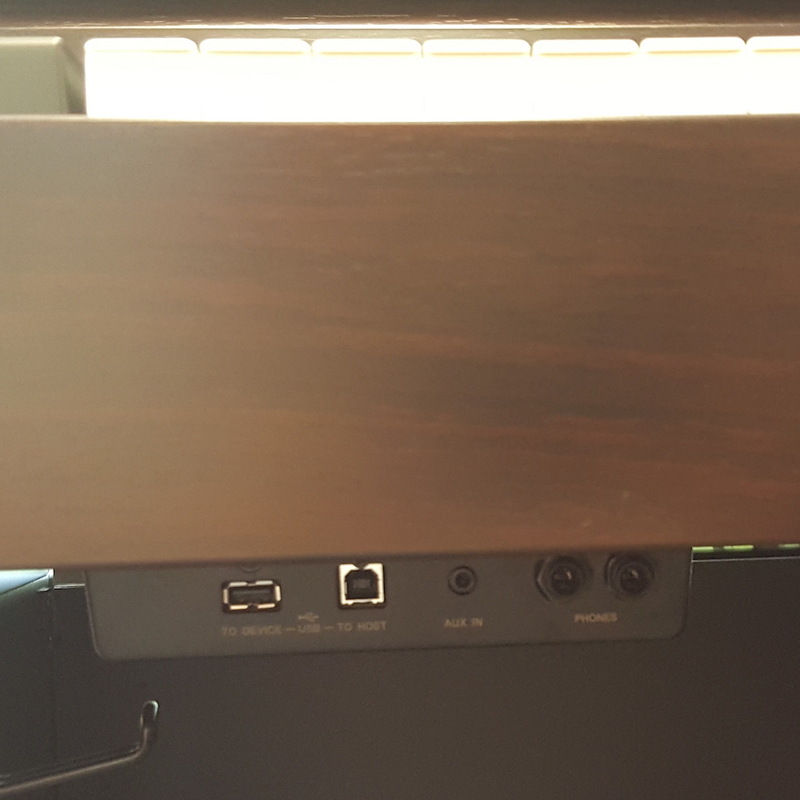 Using the 1/8″ AUX input lets you plug your phone or any other device into the Clavinova and use the speakers to listen to the audio playback of your mp3’s wav’s or any other audio recordings. You can use this feature to listen to your favorite songs and play along with them at the same time! Rhythms (20 to choose from) are also a big bonus over previous models that did not have them. The USB to device port should be more easily accessible from the top of instrument rather than beneath. This USB to Device port allows you to connect your USB flash drive and use it as a built-in piano recording studio. You can store your performances directly on the USB flash drive as audio songs. These songs are stored in WAV format, so you can listen back using the keyboard’s on-board speaker system, or conveniently play them on a computer, transfer them to a portable media device or upload them. The Soft pedal difference is not a large enough difference in volume/tone. A more noticeable difference is desirable or even an internal setting that makes it adjustable.